The beverage industry uses very specific packaging for a wide variety of products, ranging from those requiring heat treatment (usually in the package) to those requiring the retention of carbonation for a specified shelf life. Packaging development moves on rapidly, and package manufacturers continue to find new solutions to old problems and to provide answers to the increasing number of environmental issues facing our industry. Despite the pace of development the nature of the problems remains relatively unchanged: how to provide more with less, how to reconcile the need for lighter-weight packages with the fact that distribution chains continue to get longer, how to achieve faster manufacturing operations - whether making a package or filling it, the challenge of providing capital . In practice, the successful package supports the brand through differentiation at the point of sale, is used by the consumer effortlessly and is then discarded - without the consumer giving the package a second thought! 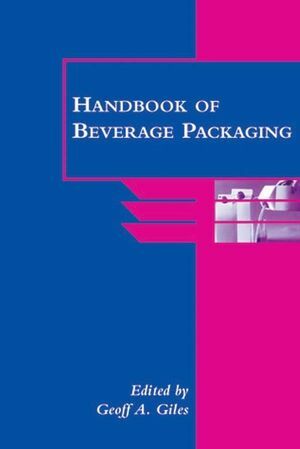 This volume provides an overview of all the packaging formats of interest to the beverage packaging technologist. It also considers the interface between them and the packaging equipment. Authors of individual chapters come from major packaging organisations or major brand companies. As they are dealing with these industries on a day-to-day basis, their views and problems are current. The volume is directed at packaging and beverage technologists who require a broad coverage of the present state of the art. General commercial and technical considerations; Packaging of beverages in cans; Packaging of beverages in glass bottles; Packaging of beverages in polyethylene terephthalate (PET) bottles; Packaging of beverages in Beer Spheres? ; Packaging of beverages in PVC, HDPE and PP bottles; Plastics as barrier materials in beverage packaging; Packaging of beverages in drinks cartons; Packaging of beverages in foil pouches; Bag-in-box packaging of beverages; Closures in beverage packaging; Decoration of beverage packaging; Processing and handling of beverage packaging; Secondary packaging of beverages; Environmental considerations. in beverage packaging; References; Index.